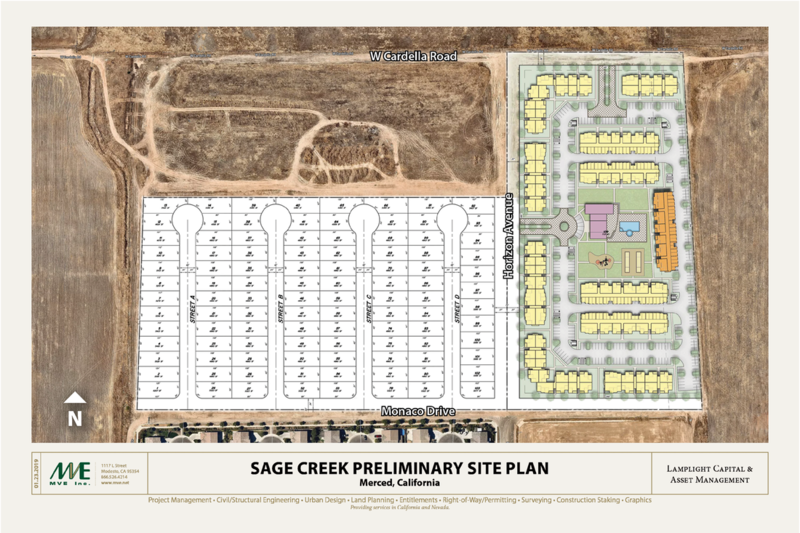 Sage Creek Merced CA - MVE, Inc. MVE, Inc.
MVE is proud to be working on a new residential project in Merced, CA called Sage Creek. The proposed project consists of a 242-unit Apartment development on 13± acres and 103 single-family lot subdivision on an adjoining 15± acre property. The area is located east of State Route 59 (SR 59) between Yosemite Blvd and Bellevue Road in northwestern Merced.